Dab Barker posted a screen shot on Twitter of Google showing multiple reviews snippets in the Google Answer box at the top of the page. 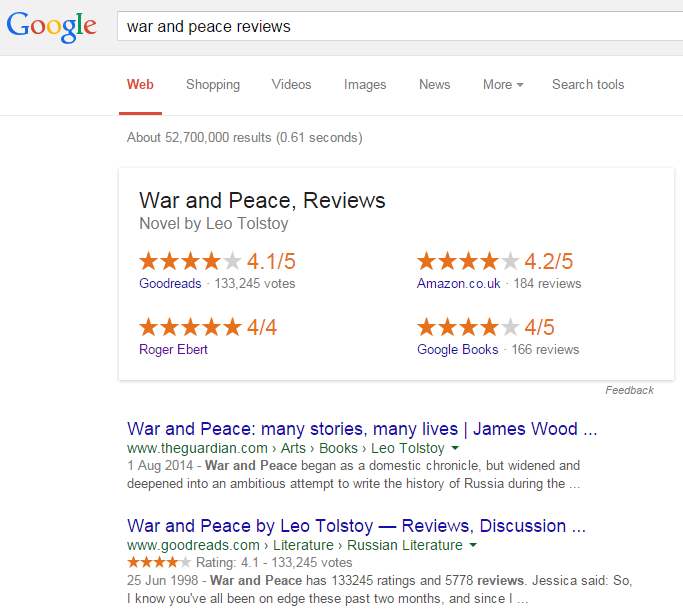 Instead of just showing one reviews box at the top, Google is showing four, for the query [war and peace reviews]. I personally only see the review snippet from goodreads.com, nothing else. But I guess Google is working more sources into that answer box. If so, as Dan said on Twitter, "here's another reason to add reviews markup to your pages."